Camp life can be hectic. Let me describe a typical day. Repeat the above cycle for five days until completely shattered. Great fun, but quite tiring. That was my week this week. I had the week before off though. 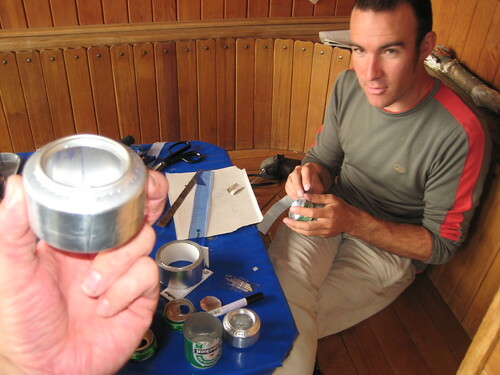 This is a beer can stove, adapted from Scott’s Pepsi can stove idea. It weighs 13 grams. It boils one litre of water in 10 minutes from lighting to boil. It is good. The stoves run on alcohol. The one on the right in the above photo is made from a Red Bull can. The stoves are a blast to make. A great way to spend a week off. I did manage to get outside during my week off also. Once again the recumbent was put through its paces on the trails around Anzere. The mountains here stare you in the face, the valley floor extending more than a kilometer vertically downwards. The day out cycling was only slightly affected by a broken chain. After more than 15,000km, my chain is on the way out. Finally! It's like being in the back of beyond, but worse for any news. For all that, based on your program, it's all go, go, go! so no time, time, time. Blimey thought you'd been taken by aliens or something. Glad to see all the counsellor stuff not changed much since i signed up do they atleast allow you to have coffee? got to dash am riding in a competiton tomorrow and would like to finish some place the near the back. When I first saw the photos of the beer-can stoves I thought you were making them at the camp! They certainly seem to be very efficient. the beer stoves look really pro from those pics all smooth and silver like-those mountains are majestic-what a view! Like Mike C I'm wondering just how these can stoves work. Good you could have a week off – imagine what it must be like being a full-time teacher of kids that age. Got abit bored so had a go at making one, can't recommend it set the kitchen on fire! Yo Rob, I have finally caught up with you – I have been running about a month behind in my reading since somewhere in the early stans. Actually I have almost caught up with you geographically as I am currently in the same time zone as you! (I am in Spain for work) I had a look around that cathedral in Milan last weekend after having read your post on it the day before – it's even more impressive in real life! Well better fly – hosta la vista! Hi Markus. I heard about your great Spain adventure. Sweet deal, aye. Good to hear that you made it to Milan. Did you notice all the graffiti? That stood out for me more than the architecture! Hope the rest of your trip goes well. That stove looks interesting. I recently picked up a similar bike to yours. Instead of an HP, mine is an Optima Dragon, which is made in the Netherlands. Similar style though – more reclined, under-seat steering, and large rear wheel. It's the fastest bike I've ever ridden. Here's a pic. 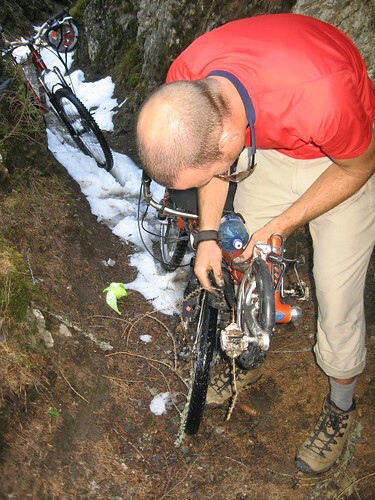 Hey Rob, you should definitely try a mountainbike on the trails! 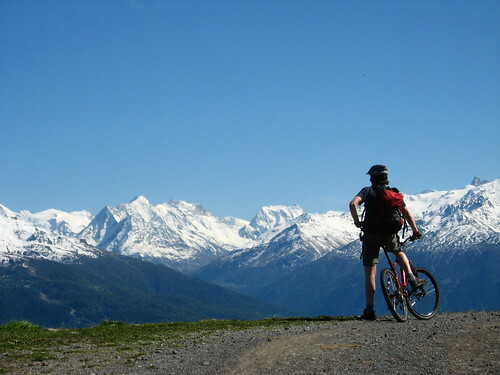 How long will you stay in Switzerland and how high are you? 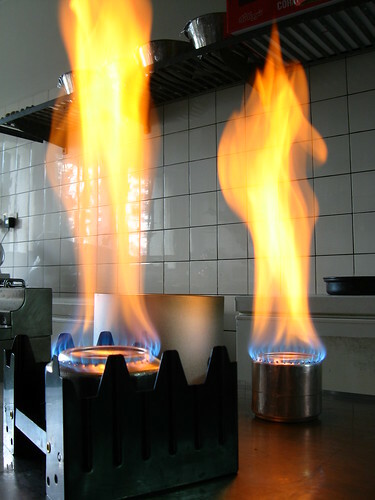 Impressive stoves and great photos. Switzerland is so beautiful!! I loved it. Have you been able to get up the Jungfrau?? Glad that you are having a great time, i wish i was still travelling!! from James B, Adam D, and Timothy Byeee!!!! I think we're getting confused between 'weird' and 'wired'. No-one's called you 'weird' as far as I can see (meaning 'strange'). 'Wired' means 'full of energy' or 'very excitable'. Enjoy the memories; sounds like you had a great time. It's me again, Victoria. Did you read Tim's and James's Message and mine? Well the camp was great. As Tim said we are hyper but not wierd. I hoped you enjoyed our visit. The survivel lesson really taught me how to work with other people and how to stay alive. Please tell me what are the councellers real names are, i can't find it anywhere! 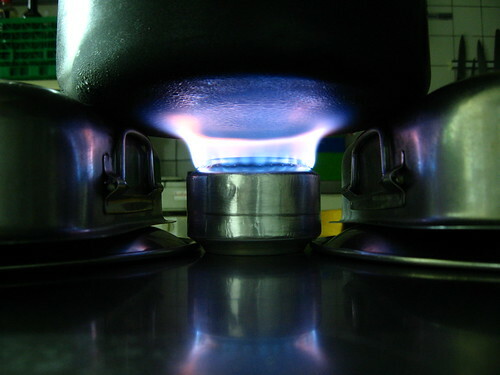 Cool picture of the stove. Lol! Happy birthday with another adventurous year ahead. Hope you have a wonderful day in Switzerland! I hope you had time in your busy day to celebrate your birthday. Thinking of you and wishing you were here so we could have a family "do." Happy birthday anyway and may your next one be celebrated a bit closer to home. Aargh! I KNEW it was someone's birthday on the 12th. Of course. Happy birthday Rob and may there be many more. You're obviously still busy busy with the camp as there haven't been any new photos for a while. I trust you are enjoying yourself. Nana turns 80 in August and we're having a 'do' on sat 1st Sept. Any chance you'll be in NZ by then??!! hi rob it's mark the kid who tried your skateboard i can land a kick flip and a heel flip now. Happy Birthday dude – saw the others saying it. How old are you now? I'm like 26 eh its crazy!. Those stoves rock man they look so simple and yet effective. Keep up the good work with the young people. Lots of youth work opportunities in NZ when you come back! . God bless you – Jonny Rev. Do you think it's wise to be skateboarding in Switzerland, given the steepness of the terrain? Your last steep-grade skateboarding effort years ago on a steep street in Oamaru ended in a trip to A&E with a very nicely scraped knee!! Had a family 'do' today at Mark's place to celebrate Zoe's first birthday. Most of the extended family were there and Zoe's performance was so much better than the one she put on at Christmas when all the family were together. She's definitely getting better with lots of not-so-well-known people around her and actually smiled at us instead of bursting into tears. Its great that you have the courage to change your bike tour into a skate boarding tour! Now you will have to paddle or swim accross the channel to England! cant wait to hear more about your skate adventure! there must be some serious downhill ahead! are you considering protection of your head, elbow and knees? Whoa, dude – this is a bit of a new development! I've become rather attached to the recumbent… Seems quite a big change to go from flat out to straight up. You'll have the 'mungous one leg once you've finished eh, unless you switch from time to time. Never done any skateboarding myself so I dunno about these things. Hope your back copes with the load of upright + pack + movement. Man, does Mark have a kid now?! Looks like it from your Aunty Les' post. My Mark and his wife have moved to Canada, just a couple of weekends ago, from Korea (where they were for the last few months). You must be either extremely busy and exhausted not to put any more accounts on to your site. Nearly time to ,ove on again – are you looking forward to it or has the stopover given you a desire to stay in one place for a while?